Enchant the mantra of being stylish in this attire. 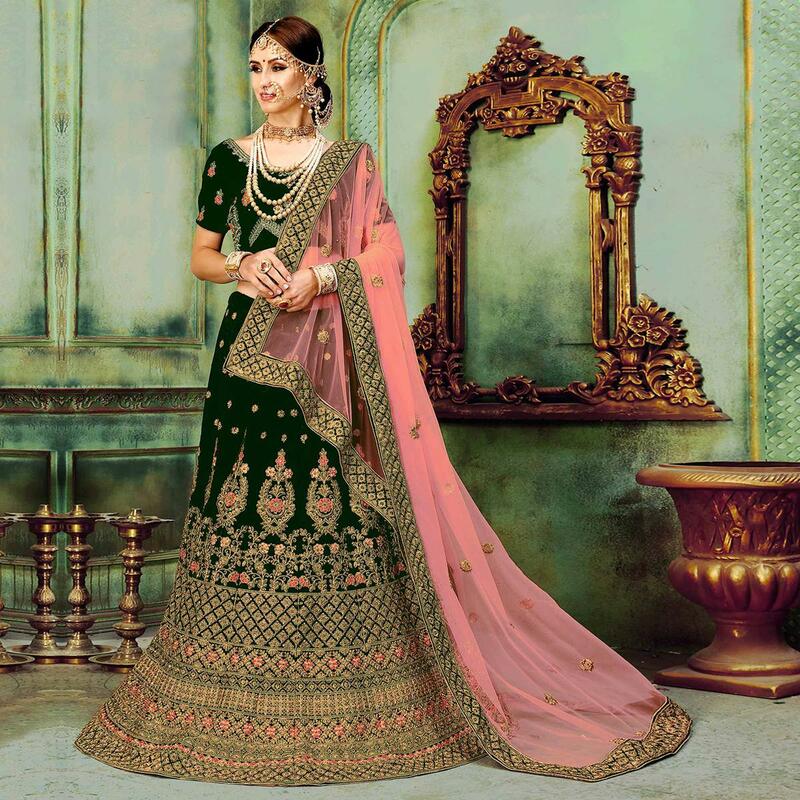 Be the dazzling diva clad in this adorable dark green colored lehenga choli with exquisite designs and patterns. Beautified with embroidered, coding, thread and stone work all synchronized well with the pattern and design of the attire. 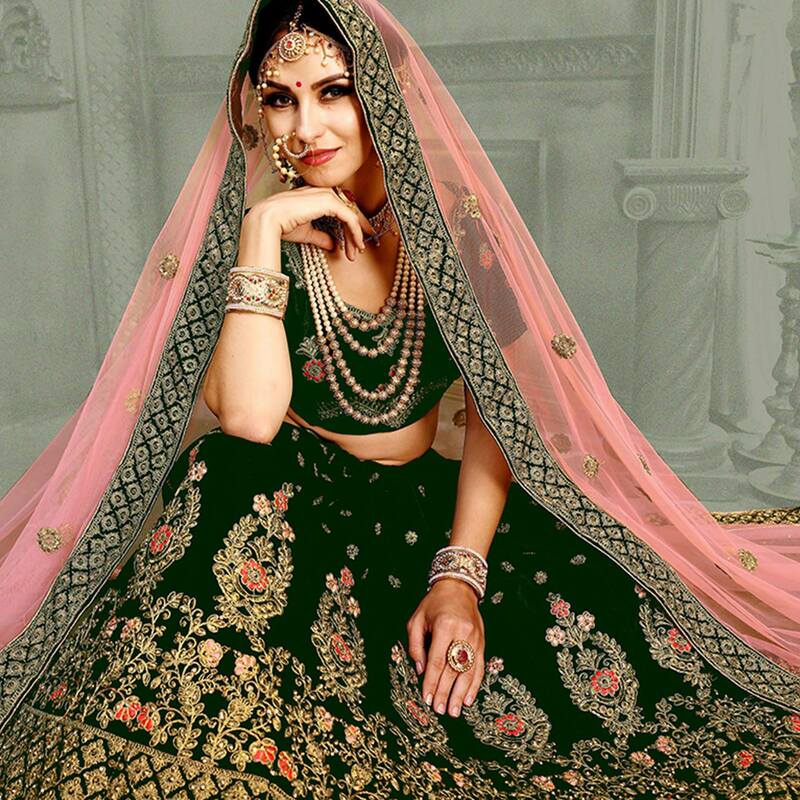 The Lehenga and blouse is made of two tone velvet fabric come along with netted dupatta with embroidered border. Perfect for traditional functions, festivals, wedding functions or engagement ceremonies. Pair it with traditional accessories to make your look more beautiful. Buy this lehenga and earn lots of compliments from onlookers.